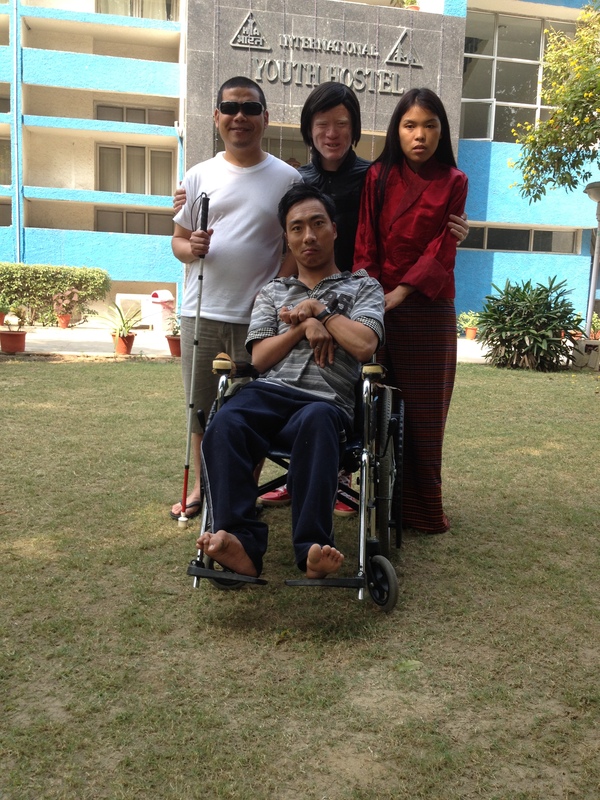 I was fortunate to be part of the team selected by Disabled Persons’ Association of Bhutan (DPAB) to take part in the international cultural exchange programme for persons with disabilities in New Delhi, India from 14th to 16th November, 2014. As usual, the event ‘Sambhav 2014’ was organized by Association of Learning Performing Arts and Normative Action (ALPANA) and it has been an annual event since 2006. I have learned that Sambhav which means “Possible” has been initiated to provide artists with disabilities a platform to showcase their artistic talents and promote the exchange of rich cultures among persons with disabilities from different parts of the world. Personally for me, it was an enriching experience to be part of the event amongst highly talented artists with disabilities from about 15 countries. My team consisted of six members: 3 visually impaired including myself, 1 low vision, 1 physically challenged and a team leader. Although the event was scheduled to begin only from 14th November, we had to leave Bhutan on 11th November since we couldn’t get our flight tickets for 13th November. That gave us almost three days to relax at the International Youth Hostel, exploring the environment around and interacting with the volunteers of ALPANA who were mobilized to assist during the event. The kind of hospitality and support we were given as the first group of international delegates was fantastic and everything was organized well. We were first allotted a room which had access to WIFI network and that helped us a lot to kill boredom. However, we lost that privilege when we were made to shift one floor up during the actual event. On 14th November, we were all taken in special buses to the auditorium of India International Centre for the first day of the event. The opening ceremony was done as per the unique Indian tradition and Sambhav 2014 was put in motion. The art exhibitions were organized outside where artists with disabilities displayed their products. Mr. Pema Tshering from my team, who carves wood and paints with his legs also exhibited his products and showcased his talents by carving a wood in front of the visitors. He indeed shocked everybody and was able to sell most of his products which he had taken from Bhutan. Every evening was a time for fun. 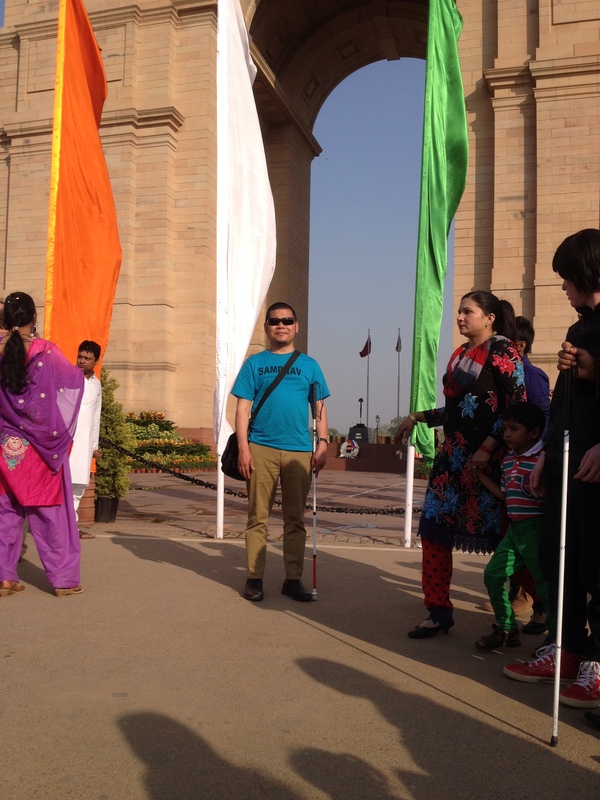 The cultural programme was held in the evening during which artists with disabilities from different countries performed on the stage. It was unthinkable to see physically challenged, mentally challenged and people with other disabilities performing dances, singing songs and playing musical instruments. Through evening shows, we got to know the talents of different persons with disabilities and it was such a lovely experience. We performed three songs on the evening of 16th November. More importantly, I got the opportunities to interact with different people from different countries and took photographs together. Some artists were truly inspirational and I got a lot of strengths and positive energy from them. There was a young woman from Indonesia who mostly had to lie down due to a neurological condition. I greatly appreciated her for the way she looks at life. I still remember her words when she spoke to the audience on the stage, “I have a lot of pain inside my body, but one funny thing about pain is that it’s invisible”. I was really surprised to see her always smiling as if everything is alright for her. I was amazed to know that despite all the terrible pain she has to go through, she was always happy and cheerful. I managed to meet with her in private and I have got her email address to keep in touch with her. Likewise, I could meet many other inspirational personalities who left a lot of things for me to reflect on. Ultimately, the event made me realize that some persons with disabilities are also special children of God like some of their non-disabled counterparts. On 17th November, we were once again lucky enough to get the opportunity to go on a site-seeing visit in Delhi because our flight back to Bhutan was only on 18th. We were taken to different places of significance in Delhi such as 73m tall Qutab Minar , Raj Ghat (the memorial ground of Mahatma Gandhi), the Gate of India and a few temples. The day-long tour gave us opportunities to learn the significance of different monuments of Delhi and it was a great fun. The volunteers especially the two young ladies were very nice and supportive. They were too sweet to talk to. We sang songs and laughed together in the bus during our journey. To me, it was a very beautiful day. 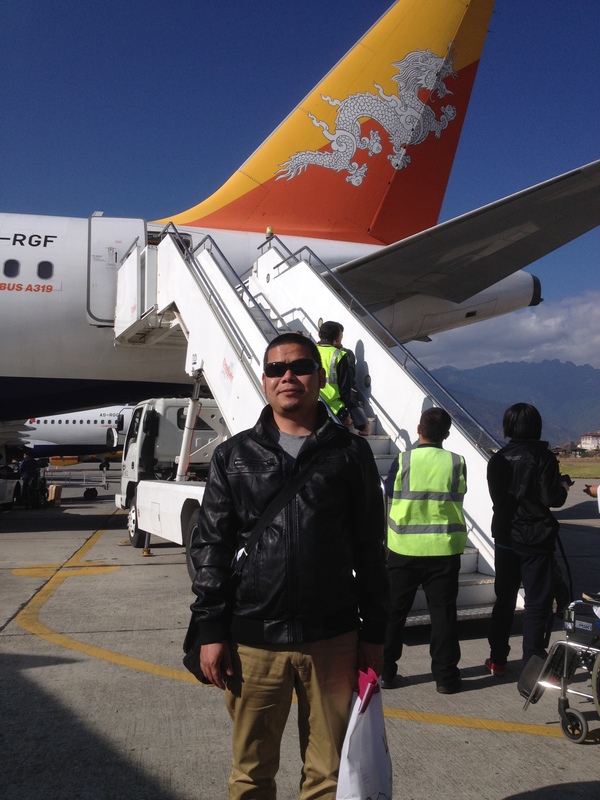 Then on 18th November, we had to pack up things and proceed to Indra Gandhi International Airport for our flight back to Bhutan, carrying all those sweet memories inside my head. For a moment, I felt quite sad but I knew that meeting and departing is part of life. It was my first visit ever to New Delhi and I think I got a lot of good memories to be cherished forever. Awesome post, sir, I felt as if I were with you all enjoying that beautiful time in Delhi. Very inspiring too, I am taking lots positive aspects of life from this particular post. Thank you and keep writing sir. kep on writhing i will be always following you. Amritji a good one. I know the kind of inspiration you may have shared to your colleagues..I'm sure that colleagues must have extremely enjoyed and excited to share those ravishing moments with you...you deserve better friends and environment..
Hi Tobden, thank you so much for your nice comment. I really feel encouraged. Keep checking out naa! Many many thanks, Tashi. I am glad that you like my writing. Please do come back as you have promised. Your comments are encouraging. Hi Riks, you give me a lot of motivation to write as usual. I am very thankful for your nice comments. I feel encouraged to write more posts. Yes, the stay in Delhi was really wonderful especially with our very nice team leader.